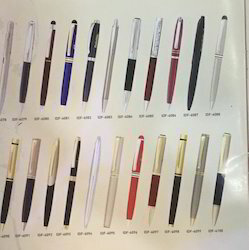 The bottom part of pen is coated with gold film an is guaranteed.the cap shows 24k mark.the refill inside is of finest quality.the name and logo can be printed with laser on pen.this will give the maximim millage.a gifted pen is always always remembered and possibly may sign for you. Owing to our huge market knowledge, we have been able to serve our valued clients with a wide range of Black Gold Pen. Cap pull slim pen which describe your personality superbly. Full Metal Pen with Metal Refill. 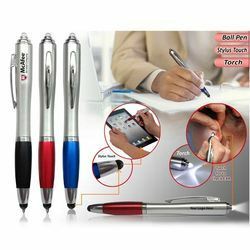 Leveraging on our knowledgeable professions, we offer a broad assortment of Metal Cap Press Ball Pen. These products are developed by making use of modern techniques in tandem with industry standards.